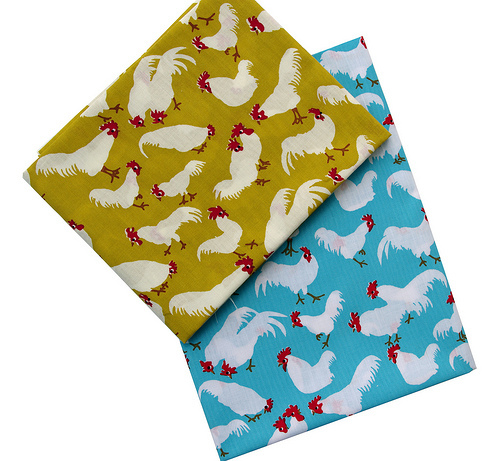 I couldn't resists these cute chickens! These carefully hand printed - vintage designs - are unique fabrics (only 30 yards are printed in each colorway), on a cotton/poly (10%) blend to ensure paint stability. 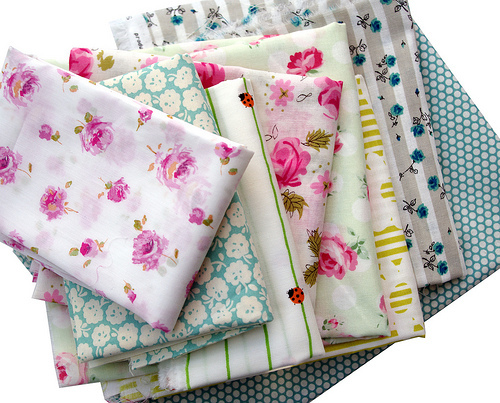 Purchased from EmilyMe (Etsy) a boutique vintage fabric store specializing in rare hand printed fabrics. Lady Birds on Green Stripe - no details on the selvage - probably a Japanese import. Princess Rose by Lecien - Roses printed on a light green background with white polka dot. Such peaceful piles of lovely, lovely fabric. Pretty sure the ladybirds are japanese- I picked up a couple of yards in pink to make a dress for my daughter while in Tokyo this year. Whereabouts in melb did you buy the Fumika Oishi flowers- I love them! Beautiful fabrics, Rita! I hope someday I have as good of an eye for fabric as you do! 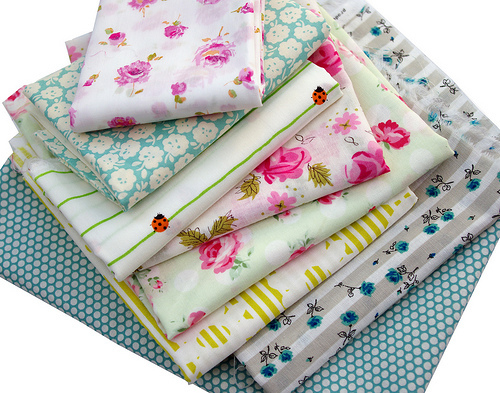 Ahh -- such pretty fabrics! Made me smile. Rita you amaze me with the way you can pull fabrics of different colors, patterns, textures and companies together. I don't know how you do it but every single time they look fabulous. I wish I had a little of that gene in me. oh my gosh ~ I love those chickens ~ got to get me some!! !